It’s already rumored that the Samsung Galaxy S10 Plus will have a triple-lens rear camera and it looks like Samsung’s upcoming foldable phone – which could be called the Samsung Galaxy X or Galaxy F – will be joining it. That’s according to an industry source speaking to South Korean site ETNews. Apparently the camera will include a super wide-angle lens and while the other two lenses aren’t detailed, they’re likely to be standard or wide-angle and telephoto ones. The source also says that the camera performance of the Galaxy X is likely to be “similar” to that of the Samsung Galaxy S10 range. 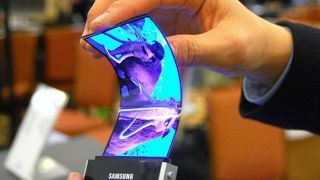 That’s no real surprise, since Samsung’s foldable phone is likely to be a flagship, but does mean it could be very expensive, since it won’t just be the folding screen that you’re paying for. It also gives us some idea of what camera the Galaxy X might have, as the Samsung Galaxy S10 Plus has been rumored to have a 12MP wide-angle lens, possibly with a variable aperture, a 16MP super wide-angle lens with a 123-degree field of view, and a 13MP telephoto lens. The article also claims that the Samsung Galaxy X will have a 7.3-inch screen when unfolded and a 4.58-inch one when folded. However, it’s not clear if that information was backed up by their source or if the site is just reiterating previous rumors, as that’s not the first time those sorts of size have been mentioned. There are still a lot of things that we don’t know about Samsung’s first folding phone, but all of our questions should be answered soon, as it’s set to land in the first half of this year, and possibly as soon as February.